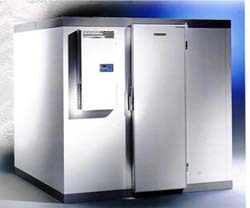 Walk-In-Freezer.com is your online provider for all your restaurant refrigeration equipment needs, whether you require a commercial walkin freezer or restaurant refrigeration room we can provide the solution. 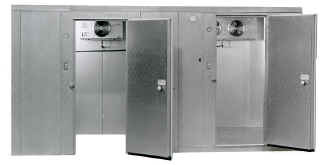 As one of the UK 's major suppliers of walkin refridgerator equipment for restaurant 's we are able to offer complete packages including walk in cooler freezer, deep freezer, commercial freezer, reach in freezer, spiral freezer, walk in freezer and blast freezer applications. Walk-In-Freezer.com is part of the RAC Kettering group who are a long established commercial refrigeration engineers able to give complete design, quotation and installation service. This is backed up by a 24 hour, 7 day a week, 365 days per year emergency call out service on all installations, giving peace of mind to all customers small or large. The high levels of service and prompt response times enables you to be confident of maintaining the freezer temperature what ever the event. With over two centuries of combined experience within in the company of all the varieties of restaurant refrigeration system and freezer applications we can offer you a system to meet your requirements and budget. From our modern production facilities in Kettering we are able to offer a complete packed range of modular coldrooms designed to fit within your requirements. 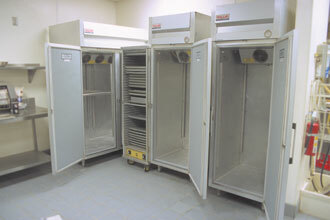 Single, dual, and multi compartment cold rooms can be constructed in modular increments of 100mm to fit almost any location. With hinged or sliding doors and a choice of floor finishes RAC Kettering modular coldrooms can adapt to suit most applications. Suitable for coldstore, cold room, walk in cooler and freezer, reach in freezer, deep freezer store, laboratory test room and small freezer applications. Options include free standing shelving, meat rack and rails with meat hooks, strip curtains suitable for low temperature rooms and handle locks. As main agents for all the major brands we can offer chilled display cabinets and display cooler units, glass door merchandiser bottle fridges for display of chilled drinks, back bar coolers with sliding or hinged doors, undercounter bottle chiller, back bar chiller and vodka cooler units. For chilled foods the wide range of serve-over counter glass fronted chiller units are suitable for fresh chilled foods for the take away market. Scoop ice cream display, large capacity glass lid chest freezer, open top freezer, display refrigerator, blast shock freezer, automatic ice machines and ice flakers complete to range. RAC Kettering offer a restaurant air conditioner and ventilation design and installation service enabling both the commercial refrigerator and air conditioner fitting to be undertaken as one package.